Ever since Final Fantasy XIV’s relaunch in 2013 as Final Fantasy XIV: A Realm Reborn, the massively-multiplayer online entry into the classic Final Fantasy franchise has been receiving praise from players all over the world for its immersive world and cooperative gameplay. 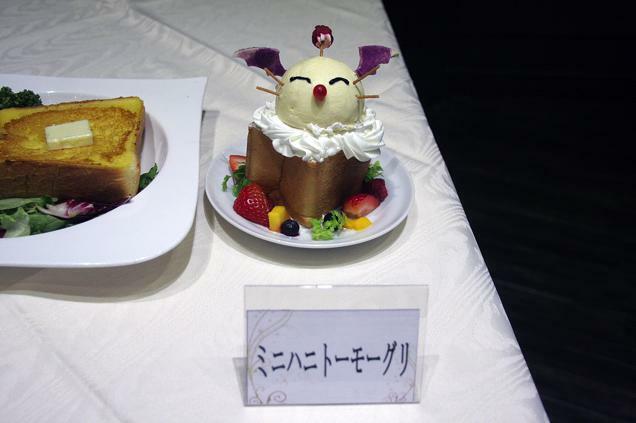 In commemoration of the anniversary of the game’s launch coming up in August 2014, Square-Enix has opened a brand-new café in Akihabara, Tokyo based on the hit franchise! 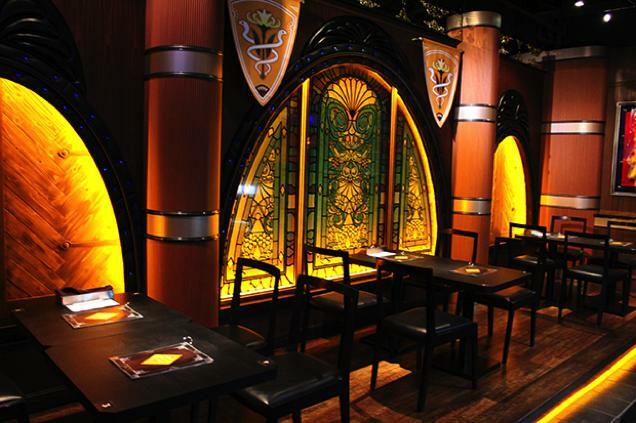 The café, called the Eorzea Café, was designed after a location in Final Fantasy XIV titled Carline Canopy, and has been constructed entirely with the mood and theme of the videogame in mind. These elements include giant stained glass windows, dark wood furniture and counters, and even life-sized statues of Moogles, floating bat-like mascots from the Final Fantasy series! 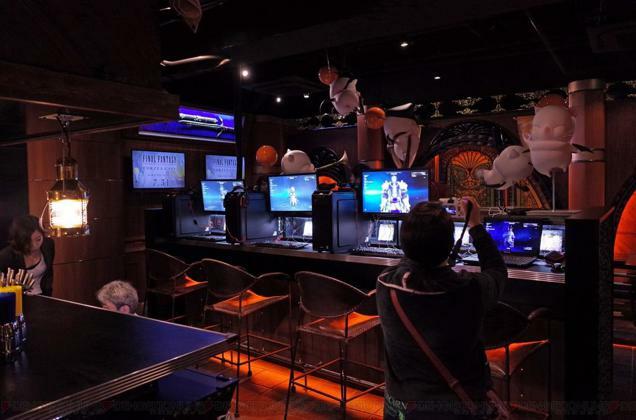 On top of serving unique food and drinks based on Final Fantasy XIV, like the Bahamut Giga Flare Curry or the Weight of the Land Titan Burger, the café features replicas of weapons from the game, and even has a series of computers set up so that customers can play the game while enjoying their food! 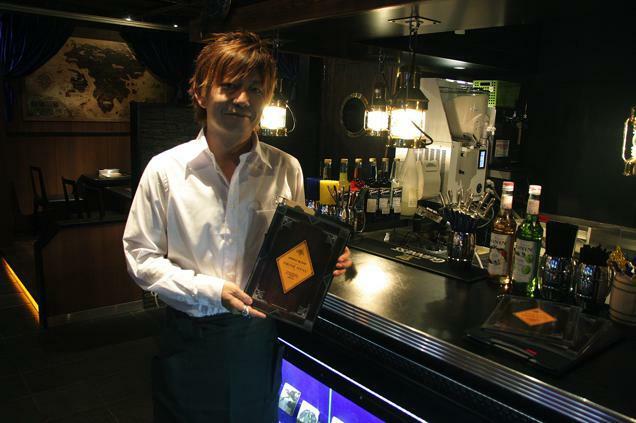 In commemoration of the grand opening of the café, game director Naoki Yoshida was present at the event, meeting fans and serving lucky customers their orders.